Cake Boss is in Town! Baking runs in the family. We have a bakeshop before and the feeling of waking up to the aroma of bread inside the oven is something to look forward to every day. We sell different kinds of bread and pastries plus yummy cakes too. But it's ironic that even though I grew up in a family of bakers, I don't know how to make bread, cake, or pastry. That having said, have you ever imagined baking alongside Chef Buddy Valastro from the popular American reality TV show Cake Boss? You can now bake like a boss in the comfort of your own kitchen with Cake Boss baking and decorating tools which are designed and crafted based on the recommendations of Chef Buddy. Each Cake Boss product guarantees that it can cater to your everyday baking needs. The products are not just durable, efficient and convenient to use but also feature cute, playful and colorful designs giving your kitchen a sweet touch. Cake Boss offers a wide variety of baking and decorating tools needed for preparing, mixing, rolling, baking, cutting and decorating. It also includes a cookbook stand, measuring cups and spoons, bowls, whisks, scrapers, pins, pans, design cutters, cake decorating turntables, icing bags, tips, cake kits, spatulas and more. In a recent Cake Boss “Bake Like the Boss” baking demo by Chef Dorothy Ferreria which was held at True Value Shangri-La Plaza and hosted by actor/chef Steven Silva, she said that baking is like chemistry. “You need to follow the exact measurements of ingredients in order to come up with delicious sweet treats. Baking requires following the recipe properly and you must have a conversion list at hand always to make sure that you get the numbers right. The Cake Boss spatula is perfect for this job. It’s not your ordinary spatula because it has a printed conversion list so you don’t need to memorize or scramble around to look for a conversion table. Another great thing about this spatula is that the printed list will never fade even if you wash it frequently. If you want your recipe to be near you always then the Cake Boss Cookbook Stand is the perfect tool to place your cookbooks or electronic gadgets. The stand has a durable rust-resistant coating and it is very easy to clean,” said Chef Dorothy during the event. Chef Dorothy whipped up some sweet treats during the baking demo while using different Cake Boss products like prep bowls, cupcake molders, spatula, scraper, icing bags and icing tips. Kids present among the audience were glad to assist Chef Dorothy in preparing and mixing ingredients using Cake Boss pastel-colored prep bowls and measuring spoons for the potato chips butter cookies recipe. “Make baking fun by using Cake Boss’ cute and colorful bowls and measuring spoons and cups,” said Chef Dorothy. Chef Dorothy also lauded the shape of Cake Boss cupcake pans. “If you compare it to local cupcake pans, the Cake Boss cupcake pans are almost straight and give cupcakes a look of fullness. Other cupcake pans have smaller bottoms and not sturdy enough when you are already putting icings on top. The Cake Boss cupcake pans will surely give you a nice and perfect cupcake shape,” said Chef Dorothy. Baking is not just about preparing, mixing and waiting for the dough to be fully cooked in the oven. The best and hard part when baking is decorating. It looks easy when chefs do it but it’s not that simple and it can be messy. Failing to decorate properly can ruin a good cake. With Cake Boss icing tips and bags, you just need to unscrew a tip and put in another one without changing the bag. The tip is firmly secured so you won’t need to worry about accidental spilling or damaging the bag when squeezing. 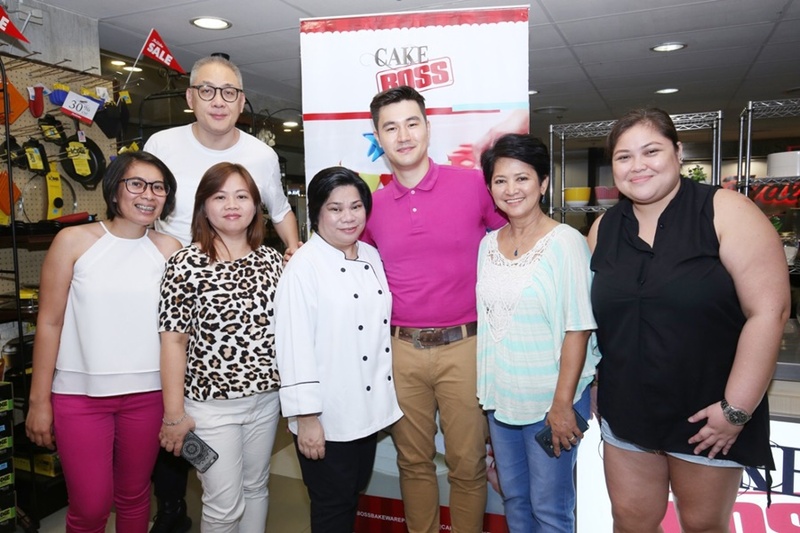 (From left): MPTII HR Manager Llorie Llorente, MPTII President and CEO Morris Ong, Concession Group Manager Lileth Yang, Chef Dorothy Ferreria of Dorothy’s Cooking School, actor/chef and event host Steven Silva, True Value Marketing Manager Milani Castaneda, and True Value Marketing Services Julie Turao. There’s a lot of baking products out there in the market but Cake Boss does the job efficiently and conveniently and also gives a sense of pride to those who own it. Cake Boss products are exclusively distributed in the Philippines by Much Prosperity Trading International, Inc. (MPTII), one of the best suppliers and distributors of quality houseware products in the country for over 50 years. 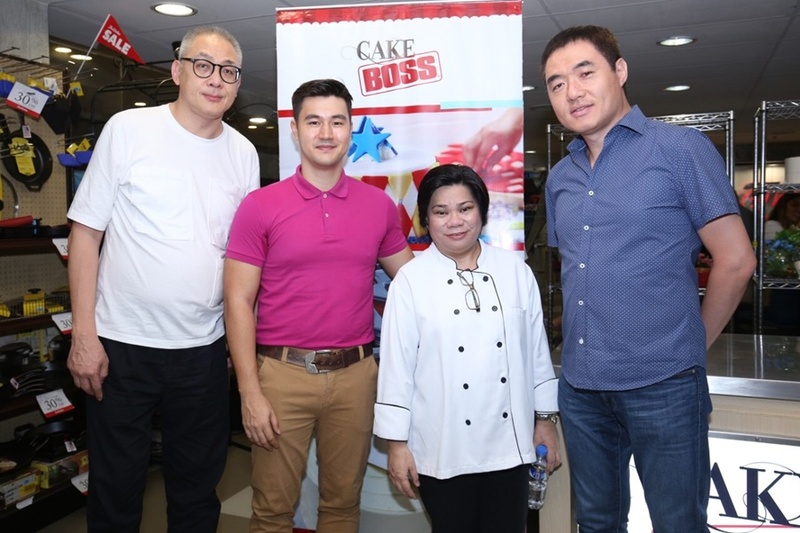 Cake Boss is available in True Home (Robinsons Magnolia and Greenbelt) and True Value (Shangri-La Plaza, Alabang and Rockwell).